This stamp set is simply beautiful, clean and super easy to work with. a must have! I also gold embossed the inside of the card! You will be seeing a lot of the Poinsettia Burst Bundle over the next few weeks. Its my absolute Favorite Fun Stampers Journey Christmas set!! And Guess what?- Its now back in stock! It will ship next week! you can see the bundle here: Poinsettia Burst bundle Its a great deal at just $36.80 for the bundle. 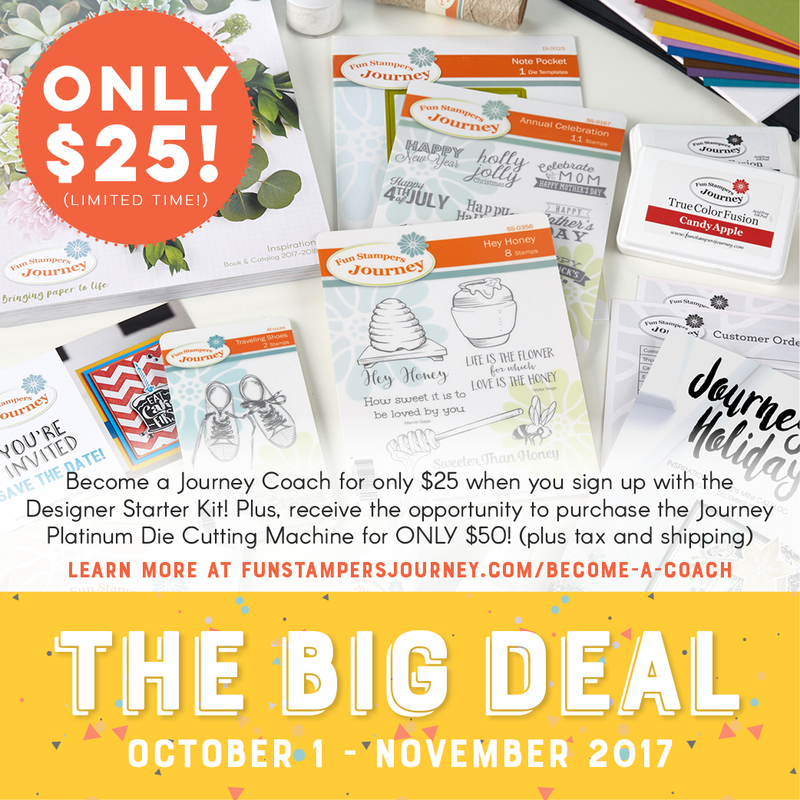 Did you know you can join Fun Stampers Journey for Just $25?? Yup!!! it is a big deal and my team is growing! I would love for you to join the fun and make some money with your hobby too!